Tricky weather conditions during qualifying ahead of the British Grand Prix in Silverstone. 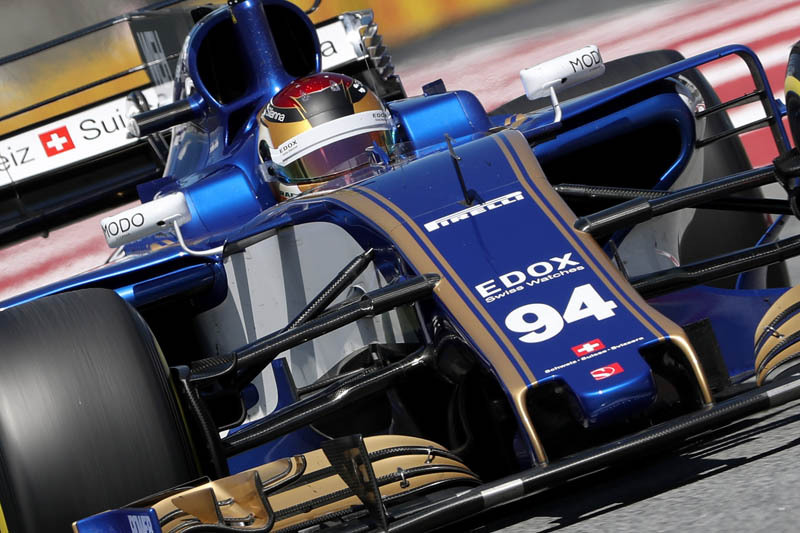 Light rain accompanied the first qualifying session, in which Pascal Wehrlein and Marcus Ericsson finished in P18 and P19. Marcus Ericsson: "It was a challenging qualifying due to the damp conditions. The first laps were looking good, but at the end of Q1 I had difficulties with the tyres overheating. I could not really improve on that set of tyres to make it into Q2. However, we made some progress in FP3 and closed the gap to our direct competitors. If we have similar race conditions as we did today in qualifying, we could have an interesting Grand Prix." Pascal Wehrlein: "The weather conditions definitely played a big part in how the day panned out. It was predominantly dry in the morning, and then started to rain lightly just before qualifying. Driving on intermediate tyres was good for the first few laps, but it became more and more difficult to improve the laptime as the track started to dry. In retrospect, it is a pity that we didn't have enough time left in the session to switch to supersoft tyres. We may have even had a chance to make it to Q2 then. It certainly remains interesting, and I am looking forward to tomorrow."